CancellationPolicy :-Cancellation before 20 days to check in : 20% cancellation charge· Cancellation within 10-15 days to check in : One night cancellation charge· Cancellation within 07 days to check in : 100% of the booking will be charged.· In case of No Show /Early check out : No Refund. Please Note: -Guests are required to furnish an ID proof at the time of check-in, like Passport, Driving License, Voter’s Card or Pan Card, it is mandatory. The Royal Grand "A Unit of Adidev Hospitalities Pvt. Ltd"
I agree with the terms and conditions of The Royal Grand "A Unit of Adidev Hospitalities Pvt. 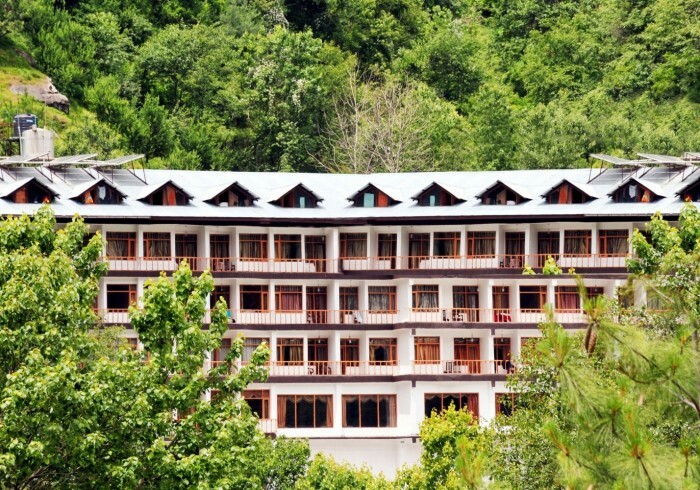 Ltd"
The Royal Grand Hotel situated in most ideal location of Manali on the National Highway facing River Beas. The 74- rooms Hotel is the perfect hideaway for your family in the “Valley of Gods”. The Royal Grand Hotel provides you with a trendy, vibrant, dining experience A Multi cuisine restaurant, a high-tech venue for conferences and banquets, secretarial service, travel desk, round-the-clock room service, and experience of unmatched comfort & luxury. This Hotel , offers a bouquet of room categories-from Deluxe,Luxury, Honeymoon Suite, family Suites & the Royal Suite all well loaded with Modern amenities and events).Lush green Lawns ,Ample parking and an Apple orchard.